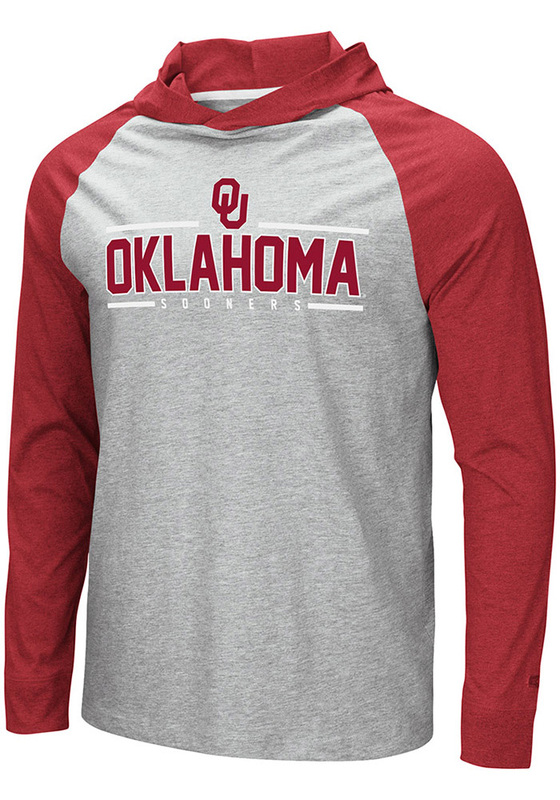 Put your Sooners spirit on display in this Oklahoma Sooners Long Sleeve Hoodie! You'll be cozy on game day in this Oklahoma Mens Grey Slopestyle Hooded Sweatshirt. 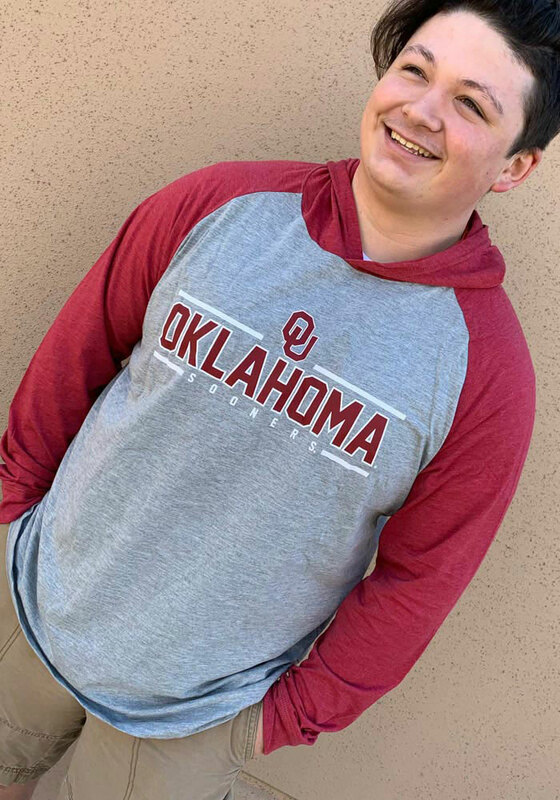 This Sooners Long Sleeve Hoodie features a two tone hooded tee with OU logo and mascot printed across chest. 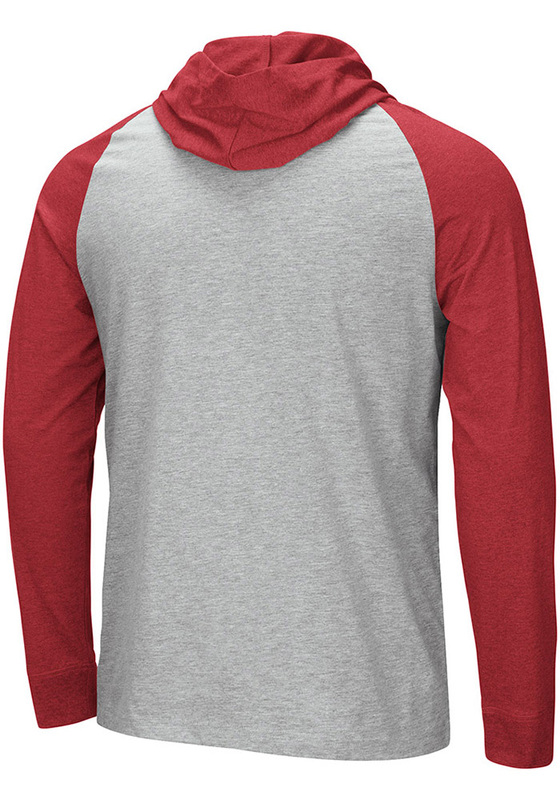 Wear your Oklahoma Sooners spirit with pride in this great Mens Hooded Sweatshirt! Recently purchased this and really like the overall comfort of the shirt. It is a breathable fabric, so if you are wanting something for extremely cold weather, this might not be for you. Fits pretty well, with the exception of the sleeves being slightly long. However I’m 5’6, so this is a common problem for me. Washes well.